Whether you're looking to achieve message cut through for urgent messages, build engagement or raise general awareness of company initiatives, our Product Tutorials and Guides help you get the most out of the SnapComms tools. Don’t forget, you can also search or ask questions in our knowledge base. Looking for other ways to Learn? Visit our knowledge base to read our FAQs. 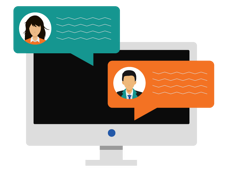 Contact us to schedule an online demonstration and discussion of your specific requirements. The best way to learn is by doing! Our 30 day FREE trial lets you interact with the full feature set of our product. No Risk. No credit card required.